MegaMex Foods has launched a line of portable avocado Snack Cups under its Wholly Guacamole brand in the US. Designed as a grab-and-go option for lunch boxes, picnic baskets or beach bags, the Snack Cups follow on from Wholly Guacamole’s launch last year of a range of refrigerated avocado dips and spreads. Stemming from an aim to bring the goodness and flavour of the brand’s products to a more portable package, the products are available in two flavours – classic and spicy – and are served with a portion of tortilla chips. 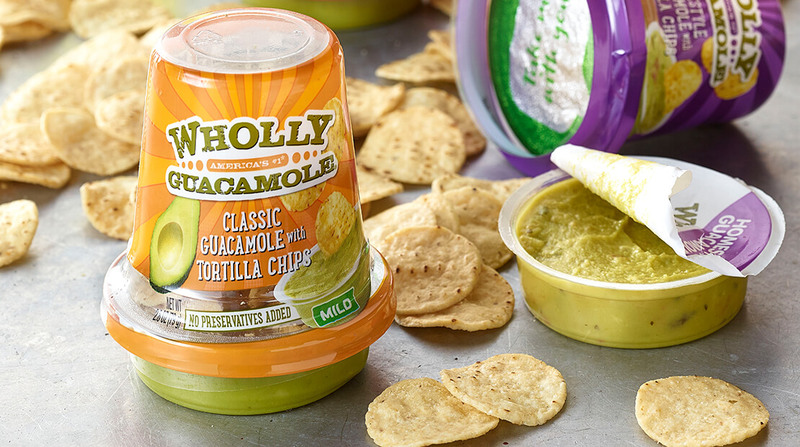 MegaMex Foods senior brand manager Diana Pusiri said: “With the new Wholly Guacamole Snack Cups, we’re answering a growing demand for wholesome and convenient, yet satisfying snacks. The 2.8 ounce Snack Cups are available in the US and retail for between $1.99 and $2.79.